Root canal therapy is a tooth-saving measure that can preserve natural teeth for patients who are experiencing significant tooth discomfort. When decay-causing bacteria penetrate the dental enamel, through to the tooth’s dental nerve, a traditional filling is often not enough to clear the infection and save the tooth. To help patients keep their natural teeth that may have an infection or severe decay, Dr. Lee Frost, offers Rutherford root canal therapy. Each year, millions of patients receive root canal therapy to help save their teeth from extraction. While root canals have notoriously been associated as one of the more uncomfortable dental treatments, many patients report that the root canal experience is equal to that of getting a normal filling. Dr. Frost ensures that all of his Rutherford root canal patients are absolutely comfortable while receiving the treatment they need to eliminate pain and keep their teeth. Your tooth consists of several layers of living tissue. Underneath the outermost layer, the dental enamel is the dentin, followed by your tooth's pulp. The pulp is soft and contains blood vessels, nerves, and other tissues that are especially vulnerable to decay. However, the good news is that pulp can be removed if an infection is present, and your tooth will remain intact. If you present with any of the above symptoms, contact Dr. Frost's office immediately for a consultation on whether root canal treatment at our Rutherford office is necessary. What Occurs During the Root Canal Procedure? A root canal eliminates any decayed material and bacteria inside a tooth and replaces it with antibiotic medications and dental materials to fill the tooth. Dr. Frost begins treatment by numbing the affected area to minimize pain and discomfort while making a small opening on the top of the damaged tooth. Dr. Frost then clears out all signs of infection using special tools designed to reach all areas of your tooth. 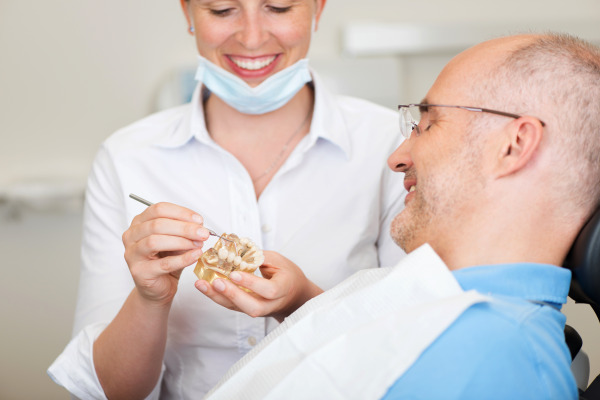 Once the inner portions have been cleaned thoroughly, he will apply antibiotic materials (if necessary) and a special dental material known as gutta percha that will fill your tooth in absence of the tooth pulp. Dr. Frost will then place a custom-made crown over your filled and sealed tooth to protect it from further decay. After root canal treatment from our Rutherford dental office, you will be free of tooth infection and any root canal pain or discomfort you may have been experiencing as a result. Your treated tooth will be cleaned of all damaged materials and restored to a healthier state. Advances in numbing techniques minimize root canal pain. Root canal therapy procedures are not the uncomfortable treatments you may have heard of. While you may experience some sensitivity following the procedure, the aching, pain and sensitivity you experienced prior to the root canal should subside immediately. To learn if root canal therapy can help your tooth pain and sensitivity, call Dr. Frost's office to schedule an appointment.